1. 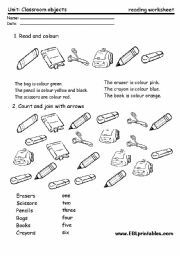 Read and colour. 2. Read, count and join with arrows. 1. 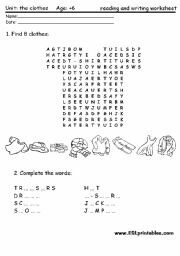 Word-search. 2. 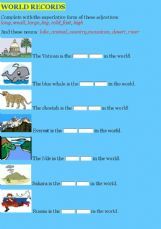 Complete the words. 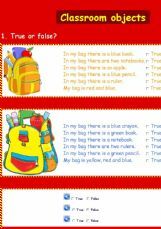 You can use these flash cards to decorate your classroom and remind the rules to your students. 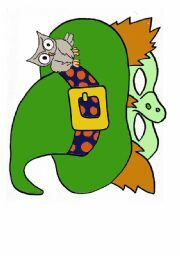 You can use this masks for a funny Halloween party with children. Masks included: witch, skull, pumpkin, bat, spider, dracula. 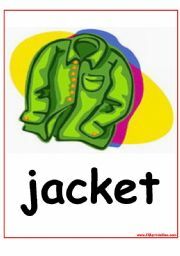 21 worksheets for teaching vocabulary: trousers, jacket, hat, shoes, scarf, gloves, skirt, shirt, t-shirt, cap, glasses, boots, jumper, socks, etc. 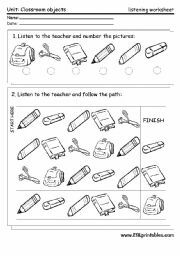 Cut and paste worksheet. 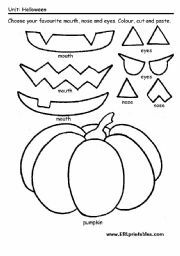 Choose the eyes, nose and mouth that you like, colour them and paste them on the pumpkin. 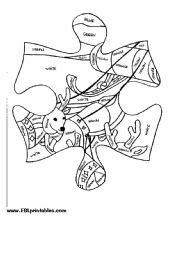 Look at the picture and fill in the gaps. 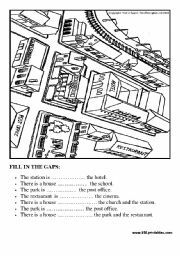 For example: The station is ................. the hotel. 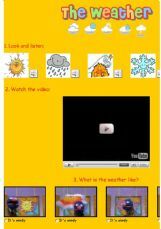 Exercises to practice weather vocabulary, including a funny Sesame Street video. I´m testing a new hangman games generator. It will be available soon, if there are no errors. I made this game to test a new game generator. I hope you like it. 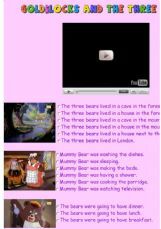 Students watch the video and then choose the right sentences. Students have to complete the sentences using superlatives. 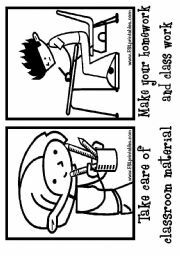 This is another exercise that I made for my 10-year-old students. 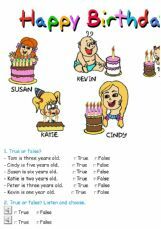 It explains the main rules and then there is an exercise. I´m testing a new exercises maker, with new features and compatible with all web browsers. I hope it works fine. 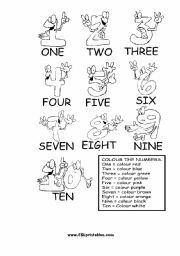 Very simple exercise for young learners. 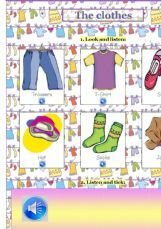 They only have to learn six words: trousers, jacket, hat, socks, shoes and t-shirt.